is an on-point modern-day manual for how to successfully add a complementary brand. Greg Sausaman shows you how to add high-margin new sales to help solve the pressures of increasing costs, such as big minimum wage hikes, through smart and strategic complementary branding. Foreword by Ed Rensi. The process to pick the right partner for your brand to offer new and exciting menu item(s) to complement your existing menu. How to successfully integrate a complementary brand into an existing brand venue simply and effectively. Why co-branding has mostly failed in the past, and how Greg has cracked the code on integrating co-brands in the food service industry to add robust bottom line gains for the operators and franchisors. How to use the enclosed assessment forms for the brand addition, as well as the ﬁnancial proforma’s to see how it makes ﬁnancial sense to your operator. Get the tools to help your operators build their slower sales periods. 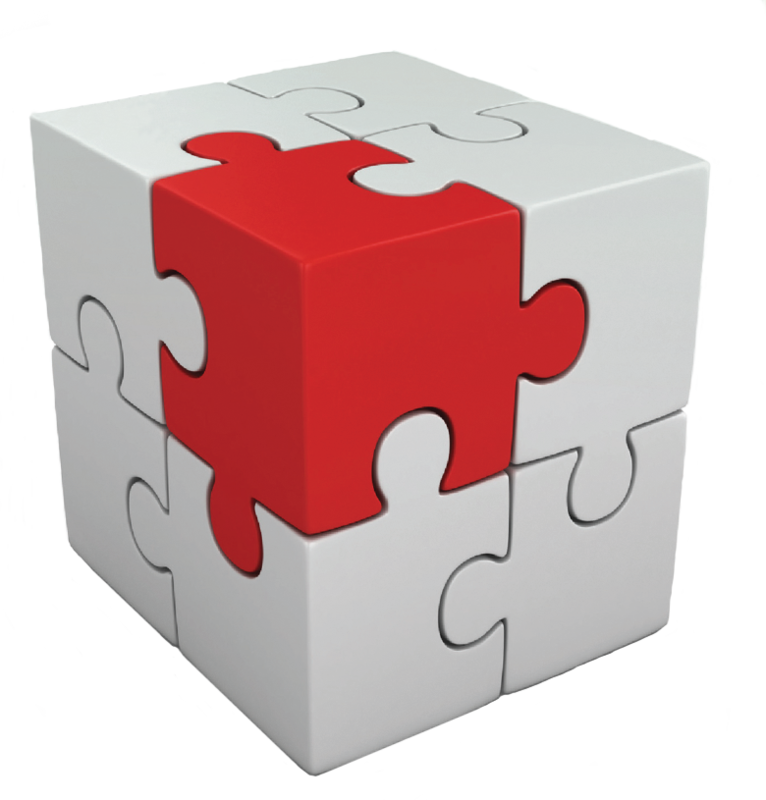 "Inside the box" has many real world examples of cobranding by top executives. The case examples add valuable information for businesses and academics. I recommend this book for many business courses such as strategic management, marketing, leadership, and others. I am currently using the book as a supplemental resource in my MBA Capstone course, Strategic Management. My students are performing a strategic case analysis of the co-branded Dunkin Donuts-Baskin Robins organization. I highly recommend Greg's book. My students' positive reaction to the book is phenomenal. Over the last fifteen years, the food service industry has seen co-branding accelerate as a successful growth and market penetration strategy. Greg’s insightful work gives the operator a framework to think through logistical, legal, marketing and operational challenges. I would recommend this book to anyone looking to think strategically as well as practically how co-branding can benefit their organization. Greg has written an elegant and compelling book on branding and the power of business to uplift lives. Focus on what matters, constantly improve your operations and be open to opportunities! The combined wisdom of the many business owners who contributed to this book is the result of thousands of years of experience. From countless nights sweating the books, marketing breakthroughs, operational successes and mistakes, the people who Greg turned to for inspiration lived it. Read this book and learn from them, then go and make your American Dream a reality! Consumers have always known that some brands naturally complement one another, and they craft their own combinations every day. This book will show you how to make your brand part of that mix—at their place or yours—and make everyone better off for the experience. Read it and profit. Preface: What is Complementary Branding? Are You a Host Brand or a Guest Brand? Chapter 1: Know Your Market: Where Is the Industry Heading? Section 2: Does It Fit? Question 1: Will it add actual value to the other brand? Question 2: Will there be an increase in return/repeat visits from the complementary brand? Question 3: Will this complementary day-part brand item be an exclusive purchase? Question 4: Does it add perceived value? Question 5: Is there a competitive advantage? 2. Profitability – Can sales from the Guest brand contribute enough to the bottom line to make a complementary branding program worthwhile? 4. Documentation – How do we memorialize the understanding among the parties? Gregory A. Sausaman is the Co-founder and CEO of Topper’s Craft Creamery®. He has a Bachelor’s degree in Marketing, and MS Management: Leadership and Organizational Effectiveness; both from the University of South Florida, Tampa. Greg is a seasoned franchise executive, having held positions with national franchise organizations: Domino’s Pizza, Allied Domecq Brands, and Beef O Brady’s family sports concepts prior to co-founding Topper’s Craft Creamery. He is a former franchise owner of 8 Domino’s Pizza franchises in Gainesville, Lake City, and Jacksonville, Florida. He and his wife Donna make their home in the Tampa, Florida area. 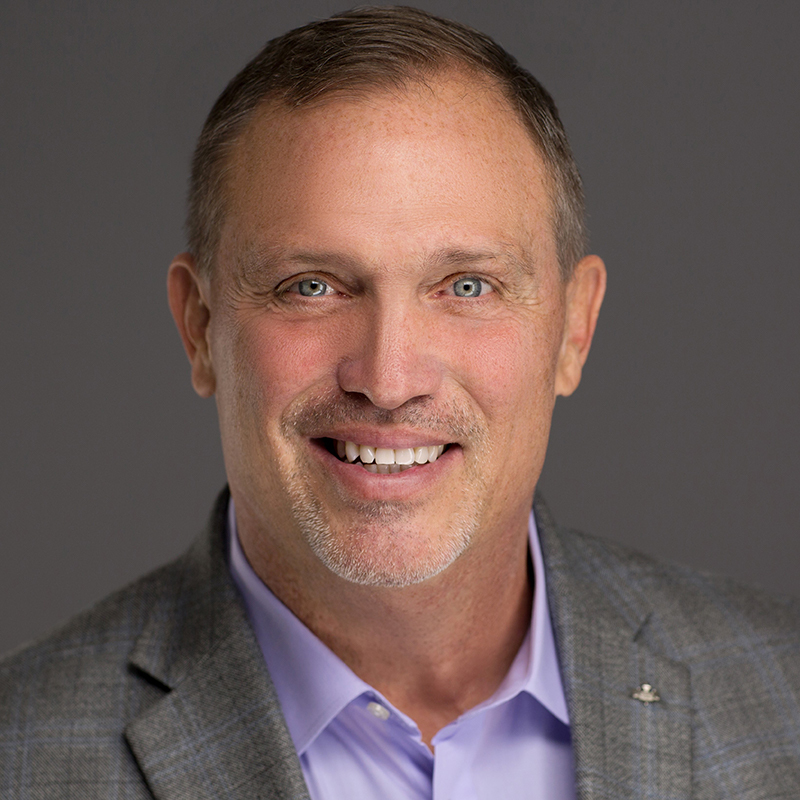 As both a successful franchise executive and a successful franchisee, Greg understands the complexities of corporate life, and the stress and demands as a franchise operator. He was described by one of his franchisees as a “franchisee in a corporate suit”. Greg’s interest in co-brand integration started while he was a consultant with Allied Domecq. Greg was part of the complementary day-part branding task force to figure out how to successfully combine Dunkin’ Donuts, Baskin Robbins, and TOGO’s Sandwiches together under one roof. Greg took what he learned, and engineered Topper’s Craft Creamery to succeed specifically as a complementary brand. As a Certified Franchise Executive with the International Franchise Association, Greg speaks on panels and round tables at national franchise conferences. Greg also is available to speak and consult to help franchise brands successfully add and/or become a complementary brand. Greg is a thought leader expert in the area of complementary day part branding, co-branding, multi-branding, brand pairing, and brand sharing. Greg’s fondest memories are his start in ice cream during his summers in Indiana, working at his grandparent’s sundries soda fountain, serving old fashioned ice cream sodas crafted with flavored syrup and soda water, then a scoop of ice cream. They sold for $.10. His first job in high school was at Bressler’s 33 flavors at the age of 15, scooping ice cream, and realizing that he loved serving people, and that everybody loves ice cream. 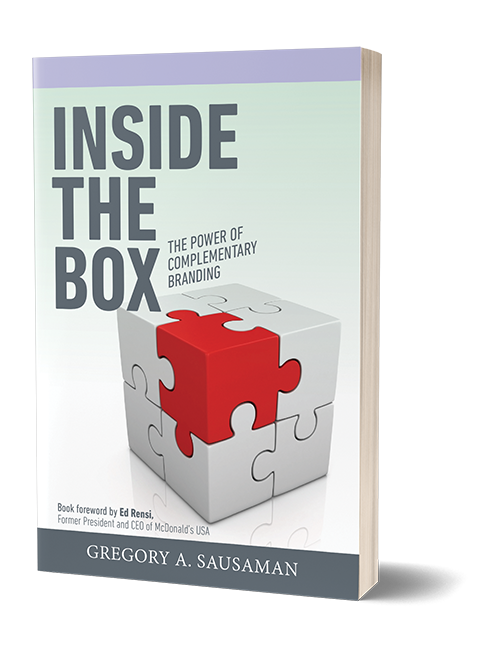 As an expert in the topic, with his book “Inside the Box: The Power of Complementary Branding,” Greg can talk about the who, what, when, where, why and how to successfully co-brand. He has cracked the code, and developed a complete process to show how it can fit in to make a big difference for the operator’s bottom line profits. The audience will walk away with a strong understanding on how to successfully co-brand, the tools to use to determine what is best for them, and what they can expect to make through expanding into complementary branding. As a successful executive, and a successful franchise owner, Greg has a unique perspective of both sides of the street in franchising. Audience members will walk away armed with a balanced perspective on what to look for in a franchise, so they can start the process of discerning if they might want to own their own business. Inside the Box: The Power of Complementary Branding offers insight on how to add top-line revenues in existing spaces with minimal added expenses through co-branding.